Kangaroo happy jumping is also known as self control Kangaroo, Its cute cartoon image makes it more compelling. 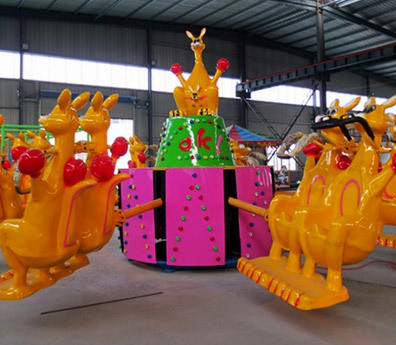 After moving the kangaroo will rotary and jumping with the music. 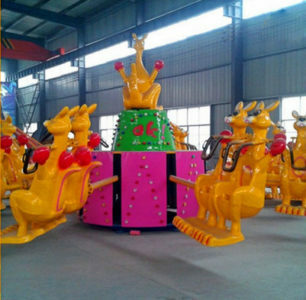 When you join it you will up and down with the kangaroo as well as rotation with the kangaroo. Sitting on it likes flying in the Sky. It is very comfortable, totally relaxed and very happy. 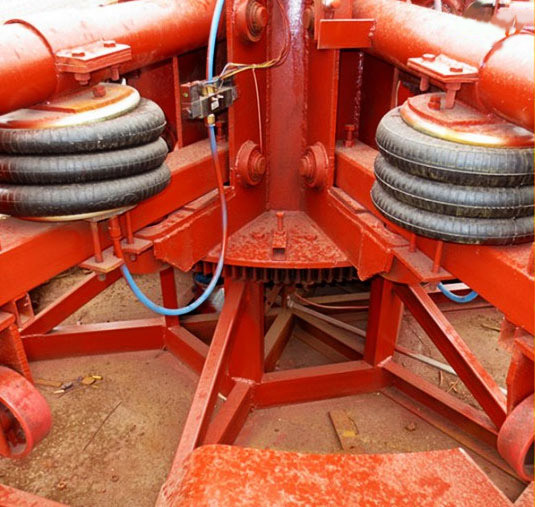 It is operated by a control box. 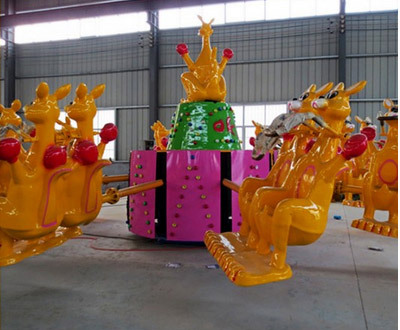 When the ride works, the players rotate along the long track and feel that they are experiencing a wonderful, it is made of fiberglass reinforced plastics(FRP), equipped with gorgeous lighting, great music, Non-fading and durable painting. The whole designs in updated cartoon figures and colorful painting make kiddy play merrily and enjoy great happiness. 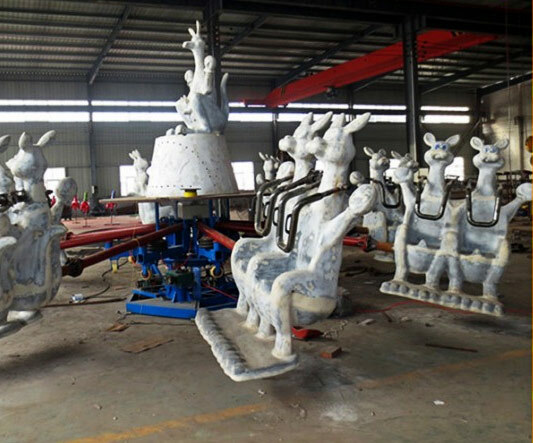 They are widely used in many places, such as, theme park, playground, and kindergarten etc. We believe the kids will like it very much.